What flower is this with long numerous white and purple petals? 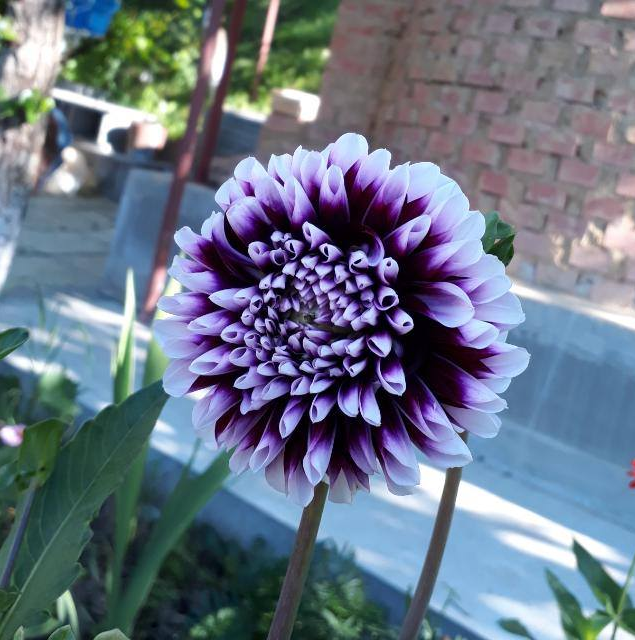 Can someone please help me to identify this lovely flower. There used to be a road side gazebo that had masses of these flowers for sale, you left the coin and choose your flowers. Based on the 'honor' system! 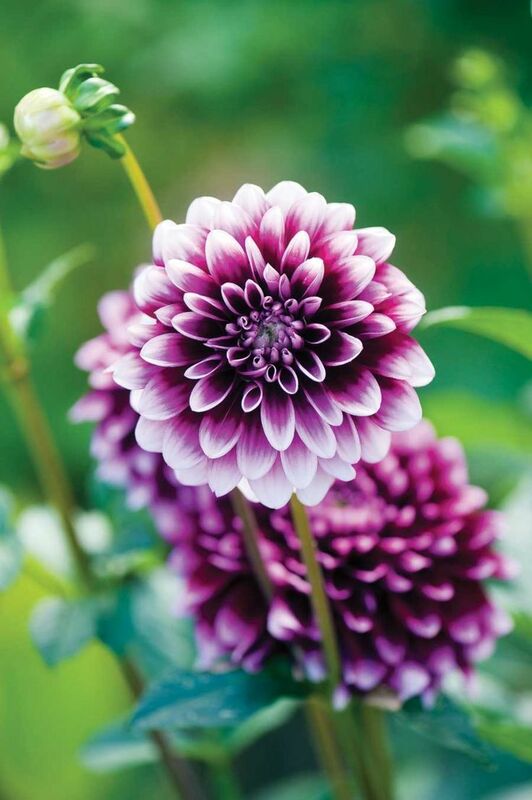 This is a Dahlia. When you look them up you will be amazed at the variety, too perfect to be 'natural'? Like Tulips grows from a bulb, unlike tulips, this bulb needs to be dug up every fall before the ground freezes, stored in a cool garage in sawdust and darkness. Plant again in the spring as soon as the soil warms up enough. You might catch the Dahlia Fever. Dahlia Tartan. I am sure there are better botanical names somewhere. Dahlia's are very straightforward, they share a long history with the Tulip. I own a book written about JUST the Tulip that is 2 1/2 inches thick. Serious fortunes and lives lost over the Tulip, very dramatic. I like the Dahlia much better! Not the answer you're looking for? Browse other questions tagged identification dahlias or ask your own question. What is this tall plant with large leaves and long bunches of soft pink flowers? What is this almost spherical red flower with thin, hair-like, petals? What is this white flower with stacked petals? What is this bulb with pink and white globular flowers? What is this plant with serrated leaves and small white/yellow flowers? What is this flower with purple and white petals that roll up to form a tube? What is this bushy plant with narrow leaves and white flowers? What is this large tree with long leaves and no smell? What is this plant with palmate leaves and purple flower spikes? What is this tree with twisted bark, fern-like leaves and bright red flowers?